The Parliamentary Budget Office’s (PBO’s) report on the sustainability of Commonwealth taxes shows the country’s focus on personal income taxes is beginning to compound into a systemic problem. Last week, the PBO examined the broad trend within the Commonwealth tax system since 2001-02, spotting an over-reliance on personal income taxes. “There is a likelihood that taxes on consumption will continue to trend downwards, taxes on capital will be flat or trend downwards and an increasing proportion of labour income will be taxed concessionally through the superannuation system,” said the report. Speaking to Accountants Daily, CPA Australia head of policy, Paul Drum, said the report’s projection of an ageing population and changing demographic showed the current tax mix was not going to suffice in the long run. “What it again shows us is that our tax mix is going to fail us, it is going to let us down because personal income tax is such an enormous proportion of the overall federal tax revenue pie and unless the tax mix changes, then there is going to be a greater reliance on personal income tax from fewer workers and you can't keep pushing up personal income tax for those future revenue, you have to look at the mix, which takes us back to consumption taxes amongst other things,” said Mr Drum. Likewise, Institute of Public Accountants general manager of technical policy, Tony Greco, believes there needs to be a shift from direct taxes to indirect taxes. “Most countries are weaning themselves off direct taxes into indirect taxes and we seem to be the laggards in that respect and it is going to come back and haunt us,” said Mr Greco. The Tax Institute’s senior tax counsel, Professor Robert Deutsch, has been a firm advocate of both broadening and increasing the GST base, believing it will help ease the reliance on individual taxes. “An odd arrangement currently exists where basic food, health and education are all GST free supplies,” said Professor Deutsch. “In effect, this excludes 95 per cent of the population that can afford to pay GST on these products, because we are trying to protect 5 per cent who cannot. “A better way to achieve the objective would be to impose GST on these three categories, and then ensure an adequate compensation package is provided to the 5 per cent that require protection,” he added. “Treasury figures show that revenue from these three sources would give rise to about $18 billion in additional GST. Compensation to those in genuine need, including low paid workers; pensioners; disability recipients, could be, say $6 billion. That translates into a $6,000 per person, which would reflect expenditure on these three sources of roughly $60,000 a year per person. 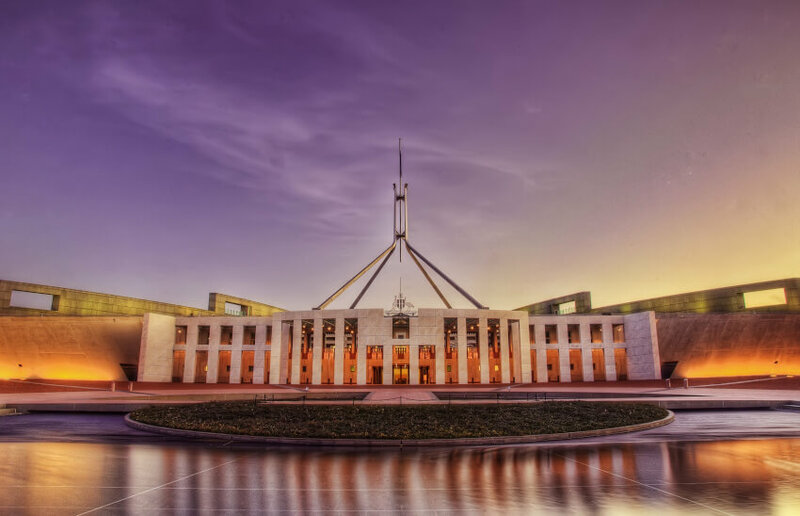 While lauding the depth and coverage of the report, both Mr Drum and Mr Greco believe it will do little to push the government or the opposition to draft a reform package as they head into an election year. “I think the major parties will be thinking softly, softly as they go because they will be certainly be paying attention to this but I'm not expecting another white paper in the near future which is lamentable because it would be better to get some bipartisan support and try and address this now before we get into a quite diabolical financial situation,” said Mr Drum. Mr Greco believes the bridge to genuine tax reform might be too far to cross, considering the complexity in helping taxpayers understand the need for change. “It's hard for someone to explain the ins and outs of what a wholesale tax reform process will entail because it will be individual specific and there will be some losers and there will be some winners and as soon as you focus on the losers, the other party will focus on that and we won't get very far,” said Mr Greco. “It will be forced upon us at some point and our attitude is you don't do it when you have to when things are in dire straits, you do it when you can, which should have been five years ago after the Henry review.